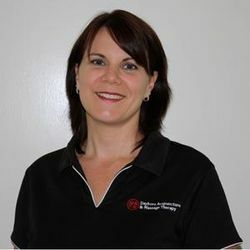 Angela Weekley, owner and principle practitioner of Dayboro Acupuncture & Massage Therapy is a fully qualified Acupuncturist and Remedial Massage Therapist. She studied a Bachelor of Health Science in Acupuncture & Chinese Herbal medicine and Diploma of Remedial Massage in Brisbane. She has also undertaken advanced studies in Acupuncture and Herbal Medicine at the Guangxi Traditional Chinese Medical University in Nanning, China. These studies also involved hands on work in 2 hospitals working alongside professors with over 50 years experience. At Dayboro Acupuncture & Massage Therapy we take the time to listen to you and your needs so that your treatment can be individually structured. You will receive a treatment of the highest quality from a professional and caring practitioner. Angela doesnt just treat the symptoms, she treats the whole body to give you the best results possible, she also believes in educating patients on ways to look after their own health. Angela attends many seminars and keeps up to date with the latest research. 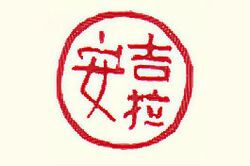 Acupuncture is a component of Traditional Chinese Medicine that has evolved over the last 5000 years. Although acupuncture originated in China it has now branched into the Western world and is recognized for the effective treatment that it is. Acupuncture works on the internal energy of the body, which is called Qi. Qi flows through the body via pathways called meridians which can be likened to electricity running through wires. Qi can vary in intensity from very strong to very subtle. It is along these meridians where various acupuncture points are located. Each point has a specific affect on the body and depending on what is being treated will determine which acupuncture points are selected during a treatment. An acupuncture treatment can also use other techniques including moxa (heat), electro-therapy and cupping. Chinese herbs are also used to maximize the treatment. The benefits are varied, some of which include drug-free pain relief, assisting the body in disease states, treating the cause as well as the symptoms of a wide range of ailments. Massage therapy is not just for relaxation, although it is great for that, it is healing through the manipulation of soft tissue for therapeutic purposes. Finch therapy is a ground breaking new therapy to realign the body. It reduces aches and pains, enhances sporting performance and allows the body to move with ease. Finch therapy is a non-invasive soft tissue therapy that promotes optimal pelvic and spinal alignment without the need for manipulation or mobilization of the joints. Tight muscles and stiff joints often return to normal within minutes of treatment. In all modalities the number of treatments required varies from condition to condition and from person to person. The factors which will have an influence on this include the duration and intensity of the present disorder and the individual circumstances such as your personal health goals. Angela has had a fully appointed clinic in Dayboro for the past 8 years. She is available on Mondays, Tuesdays, Thursdays and Fridays for appointments at the Dayboro clinic. On Tuesday and Thursday, evening appointments are available. She is available in Woodford on Wednesdays. For appointments and enquiries please phone 3425 1204 or 0419670916.